You may think an elimination diet is the best approach, but how do you determine which foods to eliminate? False assumptions about food groups can leave you testing the wrong options. Plus, avoiding just one or two foods may not address your issues. You may need to avoid entire food groups but this can be a challenge. Dairy is a common issue for IBS sufferers yet avoiding known dairy like cheese, butter, and ice cream is not enough. You must also eliminate anything made with dairy such as bread, chocolate, salad dressing, coffee drinks, etc. And whey and casein (dairy components) may be used as additives in food you would never think had a dairy component – like non-dairy coffee creamer or cereal. 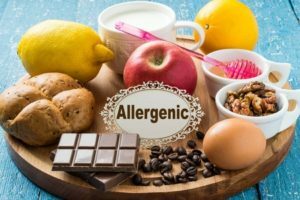 You may be allergic to more than one food or food group. Most IBS sufferers are sensitive to multiple foods across several food groups. Identifying multiple foods to eliminate is even more complex. What if eliminating a suspected food still leaves you with IBS symptoms? That food may still be part of the problem and it may NOT be okay to reintroduce it back into your diet. Unless you thoroughly eliminate all your food triggers, you won’t have the information and results you need. You need a great deal of information about the foods you eat, what they contain, and even how they’re packaged (some additives are only in food liners) in order to truly understand which foods trigger your IBS symptoms. Most people don’t have the patience to fully explore elimination testing. 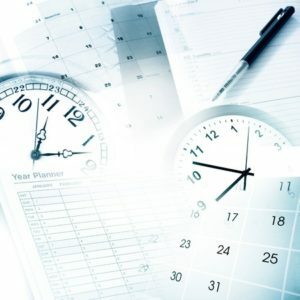 Even after you complete the extensive research required to identify foods to test, you should understand that elimination of food groups requires several days, weeks, or even months for each trial in order for positive changes to take effect and for you to see if your IBS symptoms have been lessened or alleviated. Elimination diets can be challenging – particularly because most people are busy with work and family responsibilities and often cannot stick to a rigorously restrictive diet for long periods of time. You must drastically alter your food intake and for many people, that’s just not possible. You want relief from your IBS symptoms, but this can be an almost impossible path to solve your problems. You should also understand that quantity of the allergenic food consumed makes a difference. For some people, food sensitivity may only kick in if you ingest an excessive quantity of a certain food. Yet with other foods, even a tiny quantity may trigger a reaction. This can make designing an elimination diet much more complicated. For example, cutting out the half-and-half in your morning coffee is not a big enough change to determine whether dairy triggers IBS symptoms. Unless you eliminate every dairy product and dairy component from your diet, including whey and casein, you may never know if dairy is a problem or not. Only complete elimination of possible triggers can test your tolerance and reactivity to a food or food group. If you are able to self-identify some trigger foods and avoid them, then congratulate yourself. That is fantastic. But if you aren’t all better and completely surprised, it may not be just about the food. IBS is often caused by multiple issues rather than one easily identifiable factor. You may have a bacterial imbalance in your digestive tract, leaky gut, immune issues, genetic predispositions, stress – or any combination of these and other factors triggering your IBS. Eliminating foods from your diet may help alleviate some symptoms of IBS, but it may not solve your ongoing IBS issues. Trying to self-diagnose the “cause” of your IBS can be time consuming, frustrating, and will ultimately not give you the answers you need. The better path to IBS relief is through proper testing and the expert guidance of a physician that specializes in IBS treatment. Let the IBS Treatment Center help you! At the IBS Treatment Center, we have helped thousands of patients get relief from their IBS symptoms and restore their quality of life. For more than a decade, we’ve seen patients from all across the US and many international patients as well. We have a well-regarded reputation for changing the lives of IBS sufferers and we’re ready to help you. IBS Treatment Center co-founder Dr Stephen Wangen was an IBS sufferer and has been symptom-free for more than 20 years – so he devoted his practice to helping other IBS sufferers. Call us toll free at 888.546.6283 now to set up an appointment at our Seattle, Washington or Santa Monica, California locations. We’re committed to finding the answers you need to get your life back – don’t let IBS control your life. Call now or click here to request an appointment online.